The second Friday of January has now passed – fondly known as Quitters Day, thanks to research from Strava that exposed the decline in activity levels from its users within the first two weeks of the year. Whilst health and fitness resolutions have been as apparent as ever across social media this January, it’s been interesting to see a shift towards more lifestyle-based resolutions in 2019 also, thanks to the growing – and much needed – trend of living in a more conscious and sustainable way for the benefit of the planet. But if resolutions like ‘only buy organically’, ‘go vegan’ or ‘refuse all single-use packaging’ might have proved an unrealistic goal for you already, we have 6 suggestions on simple lifestyle changes that you can make – and most importantly stick to – this year and beyond. Bring back a humble bar of soap to replace your hand washes and shower gels (they’re cheaper too!). If you’re really enthusiastic, shampoo and conditioner bars are also available if you search for them. Remember the milkman? Well he’s back – bigger (and more digitally-savvy) than ever! 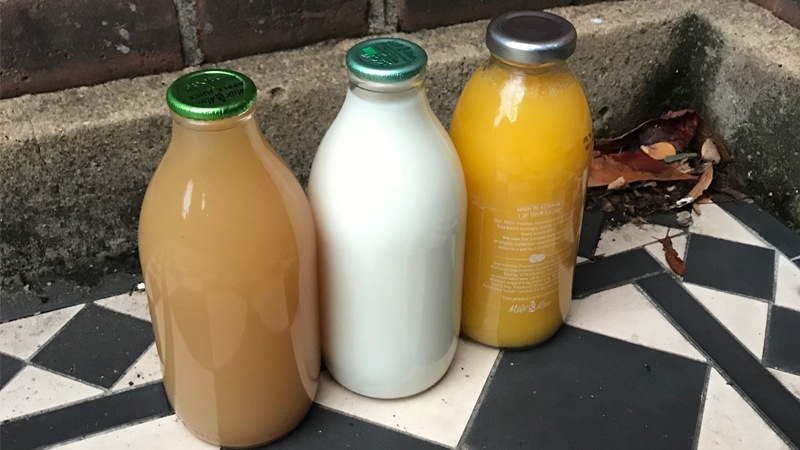 Order online, enjoy and then leave out the empty glass bottles each week for the milkman to collect and reuse – and with convenient deliveries to the doorstep too, you’ll never forget to pick up a pint of milk (or cheese, or eggs, or bacon…yes they deliver those too now) again! We use Milk & More. The return of the milkman: refillable and reusable bottles of milk and juices delivered fresh to your door. Towards the end of 2018, ‘fast fashion’ emerged as another hot topic in the sustainability scape, exposing the environmental impact of mass-produced clothing. So rather than buy a new dress for that wedding coming up this year, or that night out next week, why not give something you currently own another outing? Take a reusable bottle and/or coffee cup with you when you’re on the move. 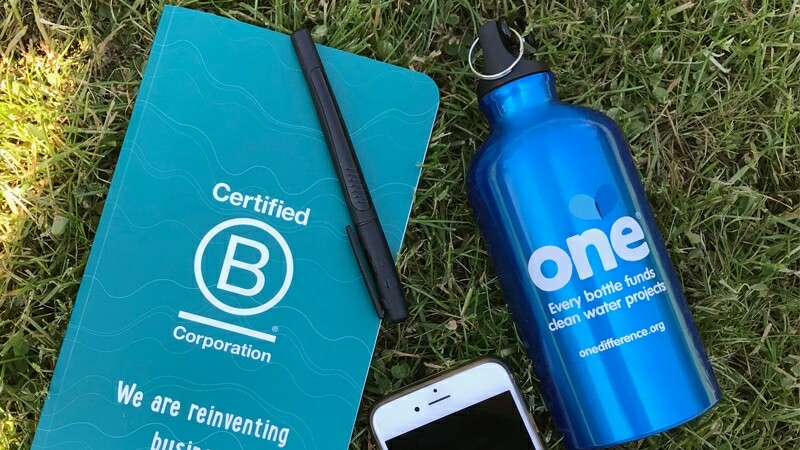 Where you’ve forgotten it (we’ve all been there) or just don’t like the taste of tap water, choose ethically to give back to the planet in other ways (and recycle when you’re done!). One Water is an obvious option for simple hydration (find us in Starbucks or Holland & Barrett), but brands like Karma Cola, LemonAid and Charitea are just a few of the great soft drink companies that give back in their own way too. Check them out! Take a refillable water bottle with you where possible to cut back on your packaging. Rinse, squash and recycle your plastics. Flatten, fold and recycle your cardboard and paper waste. If you have a food waste bin, send your food waste to compost rather than landfill. Check out our favourite website Recycle Now which has loads of hints and tip on what and where to recycle, and gives information specific to your area. Oh and if you’re on the move and can’t find a recycling bin, just keep hold of your packaging until you get home. There’s loads of research to suggest that eating less meat can be better for both our health and the planet. Rather than go completely cold turkey on animal products (excuse the pun! ), why not try switching out one meal a week with plant-based options. The guys at Meat Free Monday have loads of suggestions. 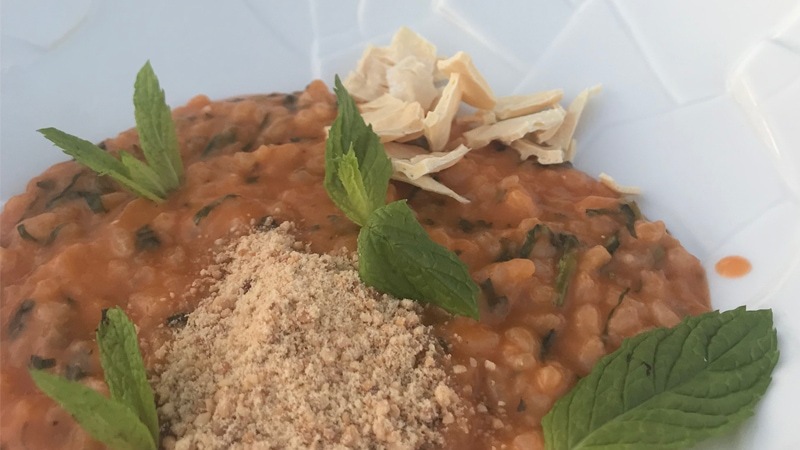 Try your hand at eating more plant-based meals once a week. There are so many easily accessible vegetarian and vegan recipes out there. Do you have any more simple changes to add to our list? Tweet us @OneDifference – we’d love to hear from you!